Blackmagic have released Camera Setup 6.3 that adds new support or the recently announced URSA Mini Pro G2. This is slightly odd given the fact that the URSA Mini Pro G2 isn’t even available yet. 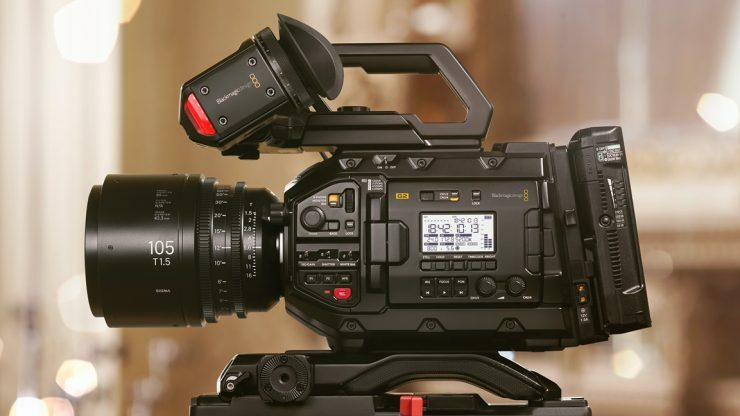 We expect to see the camera on display at NAB 2019. Above you can see some vision captured in high frame rates from the URSA Mini Pro 4.6K G2. Added the ability to embed custom LUTs in Blackmagic RAW clips. Added the ability to change ISO in 1/3 stop increments and ISO slider. Added the ability to remap the HFR button. Add ‘PRE icon to Status Text overlays for preset timecode. Unfortunately Camera Setup 6.3 adds no new features for other camera models. Users of the URSA Mini 4.6K will probably still be upset that Blackmagic hasn’t added Blackmagic RAW recording capabilities to their cameras.